In fact, our full package can take your ‘books’ right up to management accounts level, on a monthly basis, before being passed on to your accountant for the end of year audit or set of accounts. 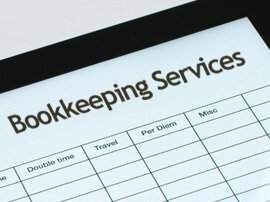 However, our bookkeeping service is also a bespoke one, which we tailor to your needs. In other words, you use us for as many things as you like. Whatever you use us for, we will collect all the relevant documents each week, month or quarter, and will visit your premises to do so if necessary. Many of our Payroll Services clients have taken up our bookkeeping service, and have found it to be very thorough and extremely useful in saving time, particularly in terms of missed invoices and late payments, which is often the starting point. In addition, if you are using your accountant to do this kind of work for you, you will find that, typically, we charge less, so you could save money too. What’s more, we will make sure that what we do for you is set up in a way which suits your accountants systems.